Just five E&A wells, one exploration and four appraisals, are active on the UKCS as November draws to a close. One appraisal spud in the Central North Sea and a single appraisal sidetrack West of Shetland are, so far, the only additions this month. This year to date, 30 E&A wells have spudded (13 exploratory and 17 appraisals) and a further eight exploration and eight appraisal sidetracks, either geological or mechanical, have been initiated. Three exploration wells have also been re-entered. The number of development and production wells started in the year to date has risen to 111 including 61 well spuds and 50 sidetracks. Currently there are 22 wells (11 spuds and 11 sidetracks) reportedly active on 18 fields utilising six platform-based derricks and 12 mobile rigs. Out WoS, BP’s Clair appraisal, well 206/9a-3, drilled by the Paul B. Loyd Jnr was abandoned on November 4, the sidetrack leg well 206/9a-3Z being initiated that same day. Also in Atlantic Margin waters, Sedco 714 continues operations on Total’s re-entered Spinnaker prospect well 206/4a-3. The sole operation in the NNS is Taqa’s well 210/29a-6, appraising the U.Jurassic Cladhan field, with the semi- John Shaw currently about six weeks into the operation. It is on the first part of a two-leg well where the second leg will constitute the first development drilling on the structure. The CNS has two active wells. Dana’s well 13/23d-8 on the Liberator Prospect was abandoned as an untested L.Cretaceous oil discovery (not U.Jurassic as we had anticipated) after just 26 days of operations with the Ocean Nomad. The rig is destined to return to continue Harris field (block 210/24a) development drilling for the same operator in the NNS. ConocoPhillips well 30/2c-J12 (Maersk Resilient), a deviated appraisal into an adjoining block from the Jade platform, progresses to target depth. The only new UKCS start of the month so far is EnQuest’s well 16/3d-16, an appraisal of the Cairngorm accumulation (basement play), which was spudded by the Stena Spey on November 1. With the abandonment of Dana’s well 47/5d-6 (Pharos) on November 17, there is currently no E&A drilling activity to report in the Southern Gas Basin. The 54-day programme on the Permian Pharos prospect utilising the Noble Lynda Bossler recorded a gas discovery in the target Leman sandstone but, was not flow tested. 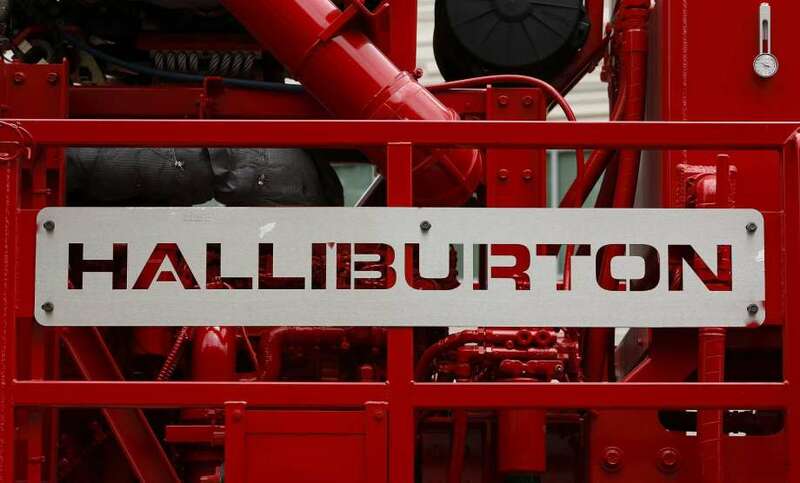 WoB exploration or appraisal drilling in the East Irish Sea Basin remains moribund. Although a small number of spuds are expected in UK waters before year end bolstering slightly a numerically poor year, the story remains largely as last month with only a trickle of activity. It is easy and convenient to blame the activity lull or indeed the downward trend on a shortage of drilling units, but the picture is more complex with multiple factors in play. Notwithstanding the above, the announcement of two discoveries by Dana is encouraging, subject to determination of potential commerciality. Further to that news we are aware of a small number of other finds of varying potential that must for now remain under wraps, for reasons of technical and/or commercial confidentiality. Q1 next year should enable us to assess better how 2013 really looked. Nine wells are currently active, seven of these exploratory and two appraisal, with six in the North Sea, two in the Norwegian Sea and one in the Barents Sea. In total, 51 spuds are recorded this year, with an additional five sidetracks. No re-entries or re-spuds are noted. In total, 23 development/production wells are currently drilling; all bar one are North Sea and one is Norwegian Sea. Currently, there are 36 mobile units in the sector, with nine on exploration and appraisal duties, 23 on development and production drilling, while the remaining four are mobilising between well locations. 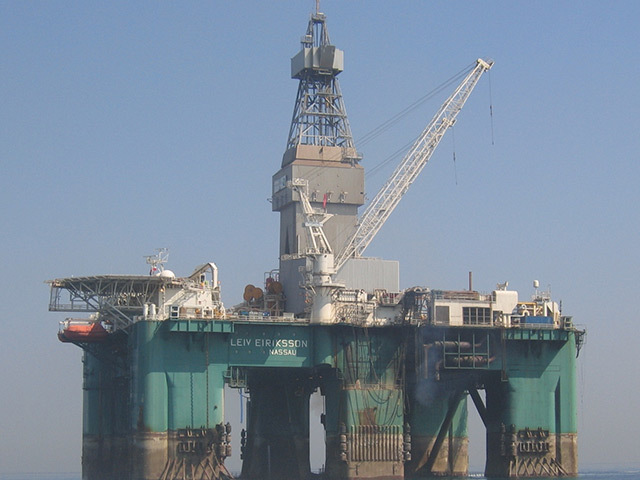 In the North Sea, Lundin spudded its Luno II appraisal, 16/4-6 S, on the Luno II South structure (licence PL359) with the Bredford Dolphin; while at the same time completing operations on its nearby Torvastad exploration well 16/2-20 S using the 6th generation rig COSL Innovator. An up-dip sidetrack, well 16/2-20 A, targeting the better quality Draupne reservoir has been initiated. Statoil, with the Ocean Vanguard, plugged back its Askja West prospect well 30/9-11 S and immediately kicked-off sidetrack well 30/11-9 A aimed at the Askja East prospect. At the same time, it continues drilling its Rav/Valemon North exploration probe, 34/10-54 S, with the Transocean Leader targeting a L.Jurassic objective. Wintershall continues operations on its Skarfjell appraisal, 35/9-10 S, where the Transocean Arctic is employed. 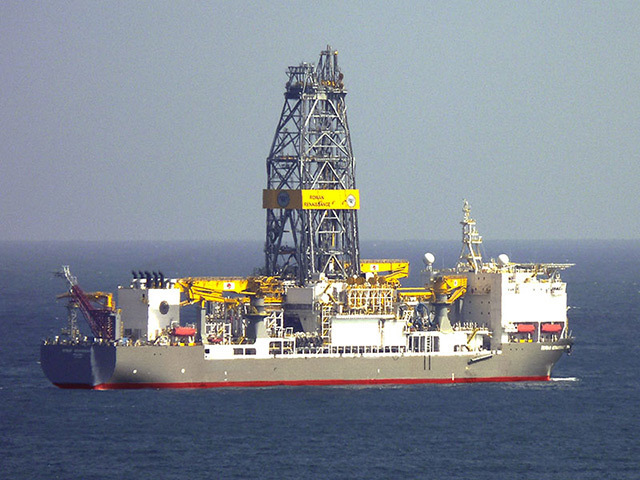 GDF SUEZ wrapped-up operations with the Transocean Barents at its Kon-Tiki exploration probe well 35/9-9, abandoned as a dry hole in mid-November. Lundin abandoned well 16/3-7 as another successful appraisal of Johan Sverdrup, this time in testing the south-east corner of the giant field, with the Bredford Dolphin mobilising to drill its Luno II appraisal well. The latest spud of the year, well 31/3-4, began on November 23, with the Transocean Barents being utilised for this Tullow-operated exploration probe on the Mantra prospect. Statoil continues operations with the Songa Trym on its Jurassic Snilehorn exploration well with sidetrack 6407/8-6 A, while Faroe spudded exploration well 6507/10-2 S with the West Navigator, also targeting Jurassic prospectivity on the Novus prospect. There is just one active well here. Statoil is using the West Hercules to drill its deviated Skavl exploration well 7220/7-2 S in the Johan Castberg area. Given its early October spud, the rig is expected to be nearing its M.Jurassic reservoir target about the time of writing. 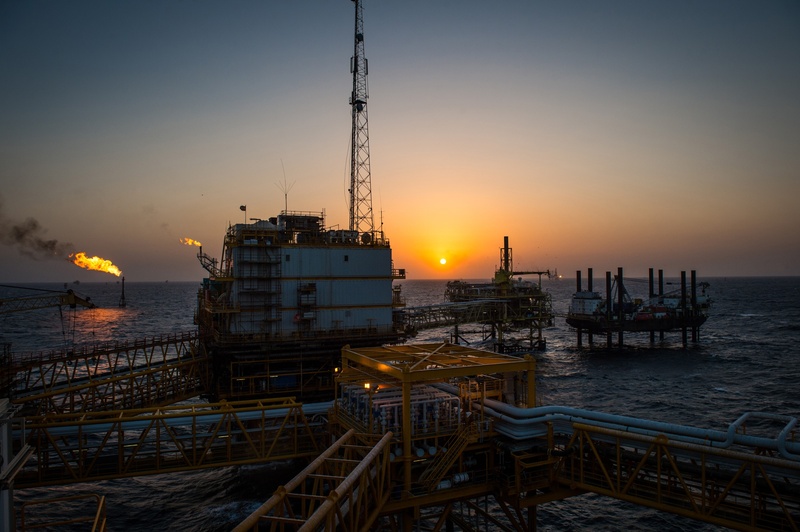 Early month saw OMV complete operations with Leiv Eiriksson at its Wisting Main well 7324/7-1 S (P&A minor shows), while Scarabeo 8 mobilised from Eni’s Bønna prospect well 7016/2-1, having abandoned it as a dry hole. Although drilling activity has slowed during the final quarter, albeit not too dramatically, 2013 is set to become one of the most active years in terms of E&A spuds in Norway, and with this has come a proportionally high number of discoveries. A reduction in Barents Sea activity appears linked to weather conditions which, over the coming three or four winter months, will scupper drilling activity in the area. This will make more rigs available for use in the Norwegian and North Seas, with activity in the latter especially remaining buoyant. With appraisal of Johan Sverdrup nearing its end this will also serve to free up two rigs which have been almost full time dedicated to the field delineation over the past two years, potentially further easing the constrained rig market in Norway.